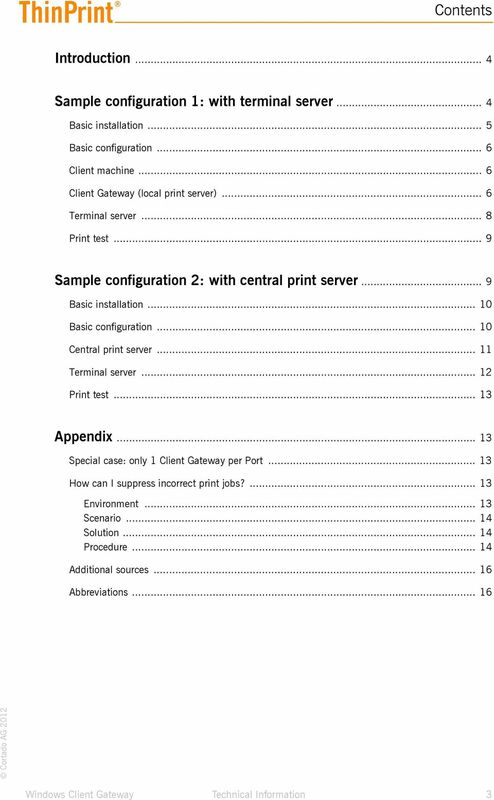 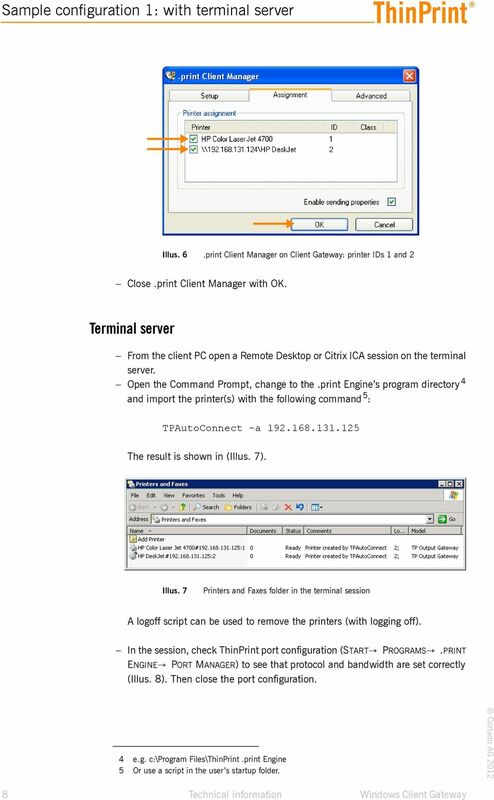 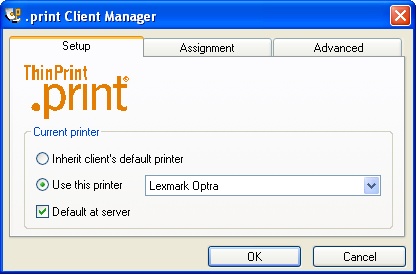 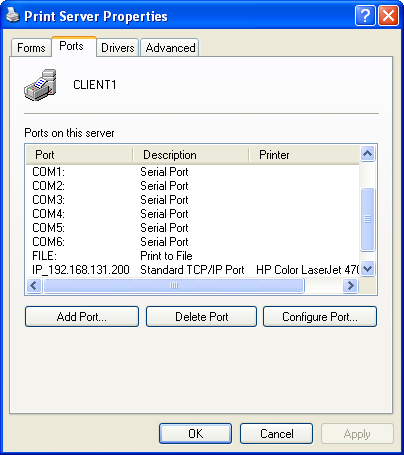 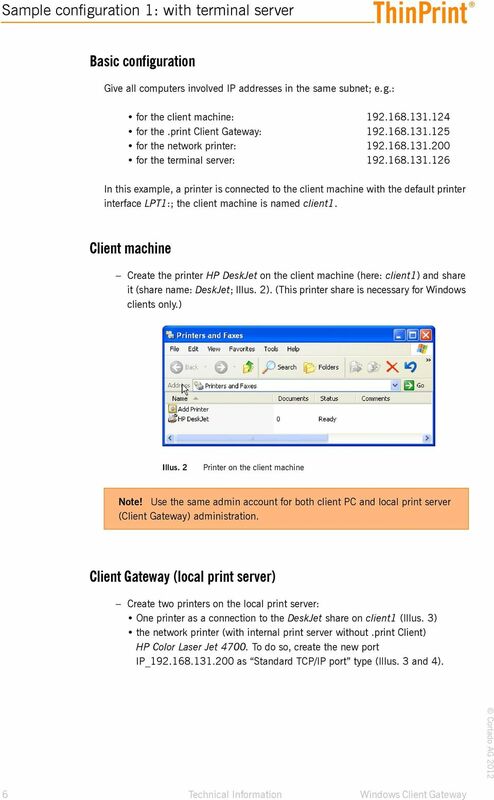 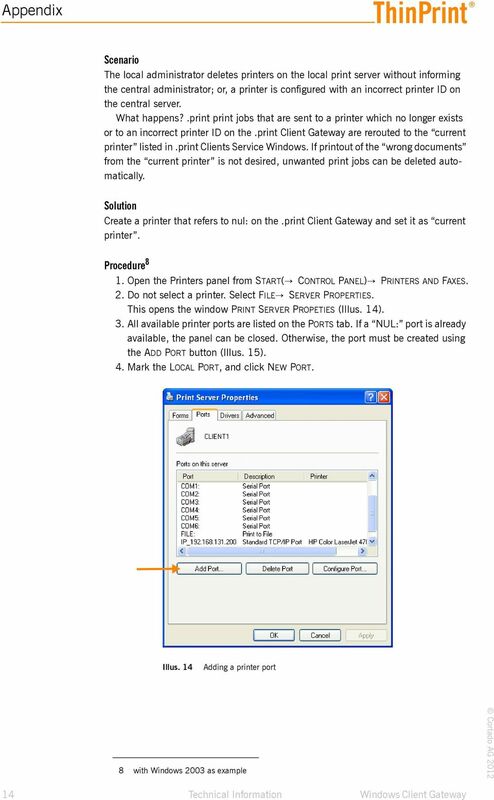 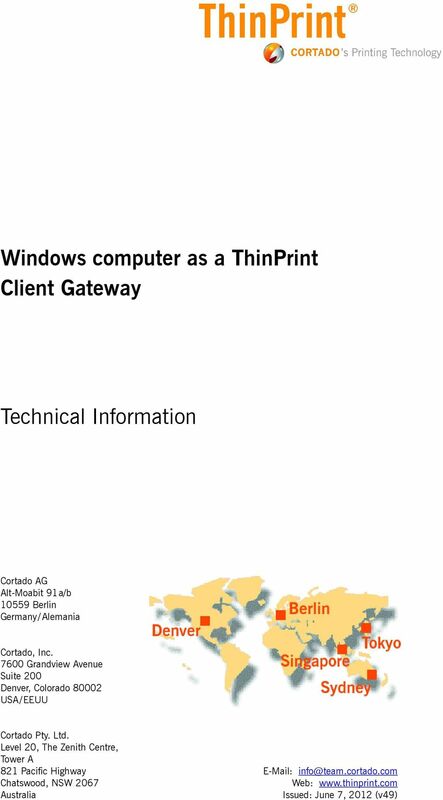 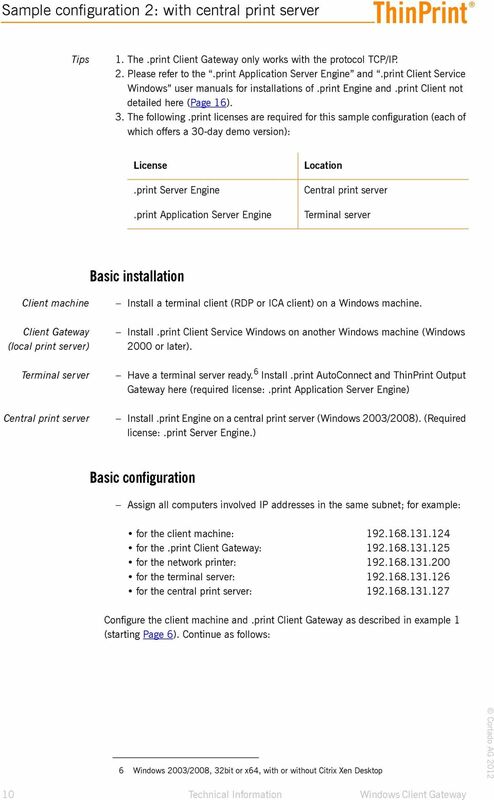 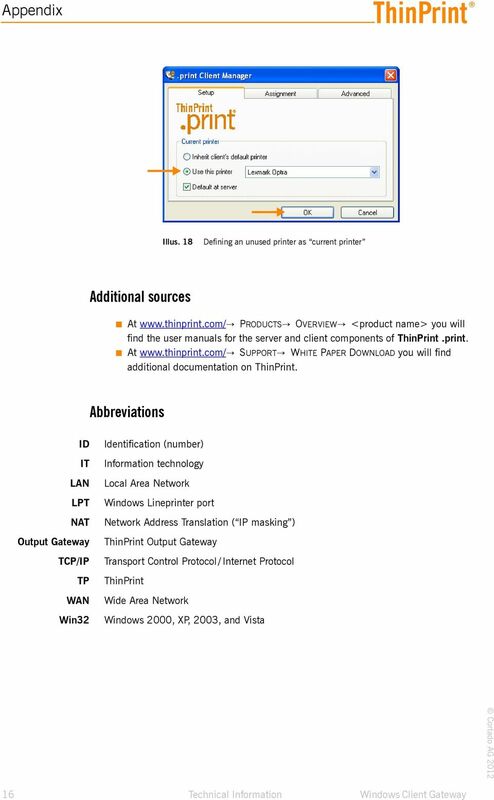 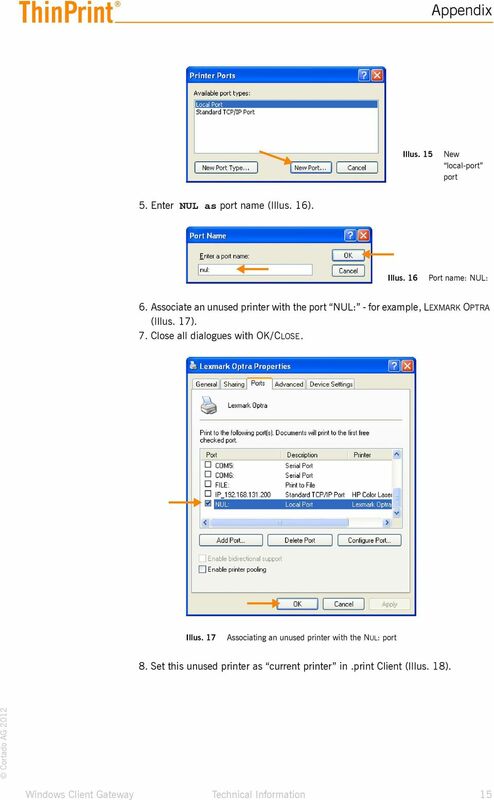 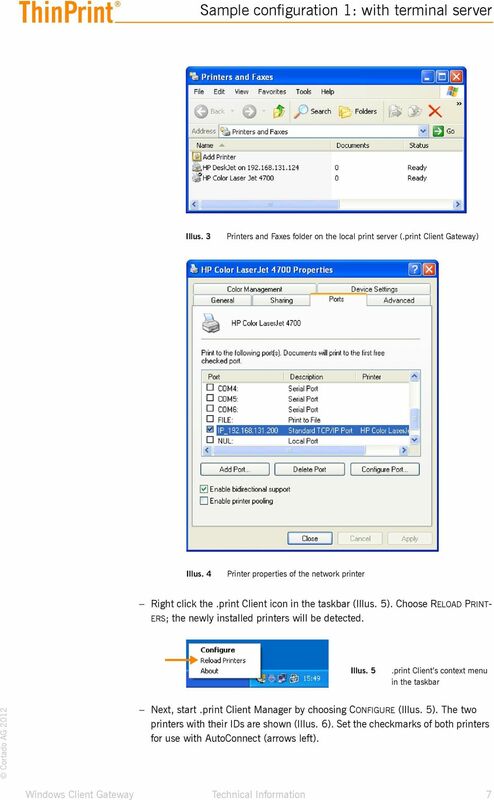 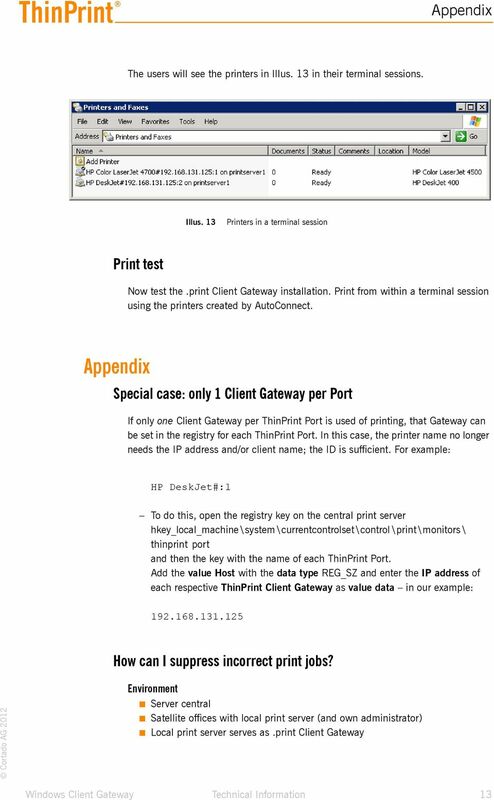 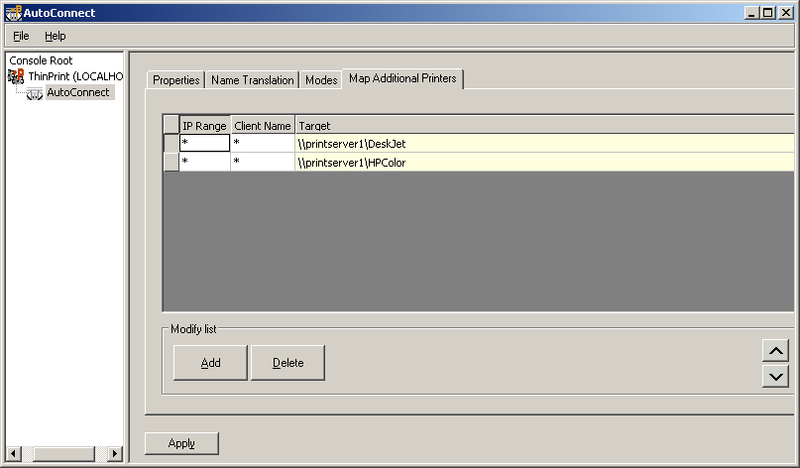 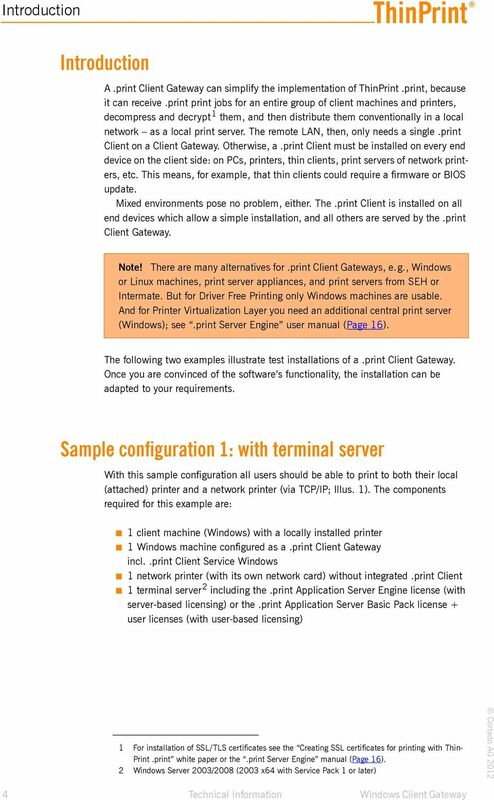 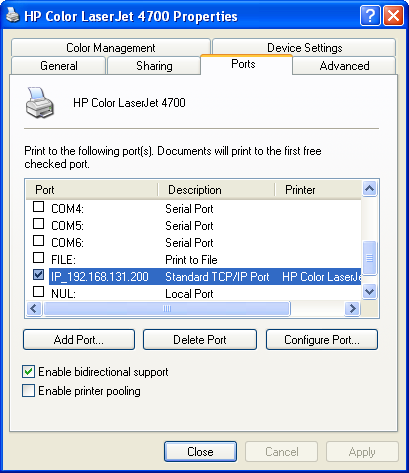 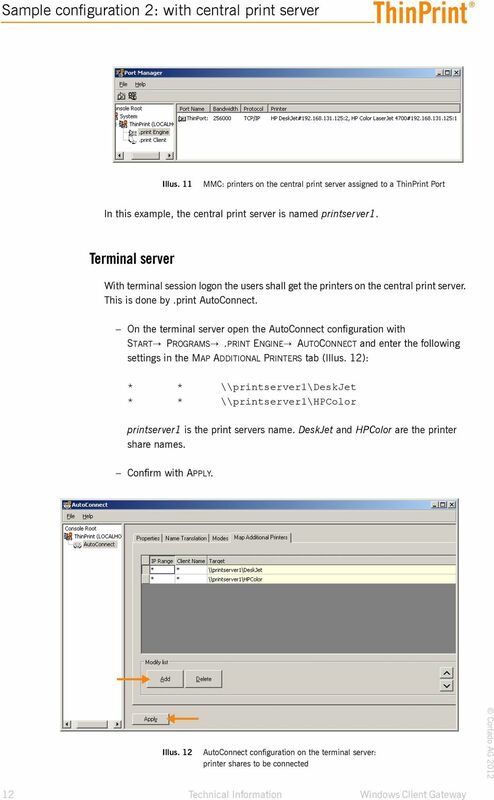 Download "Windows computer as a ThinPrint Client Gateway. 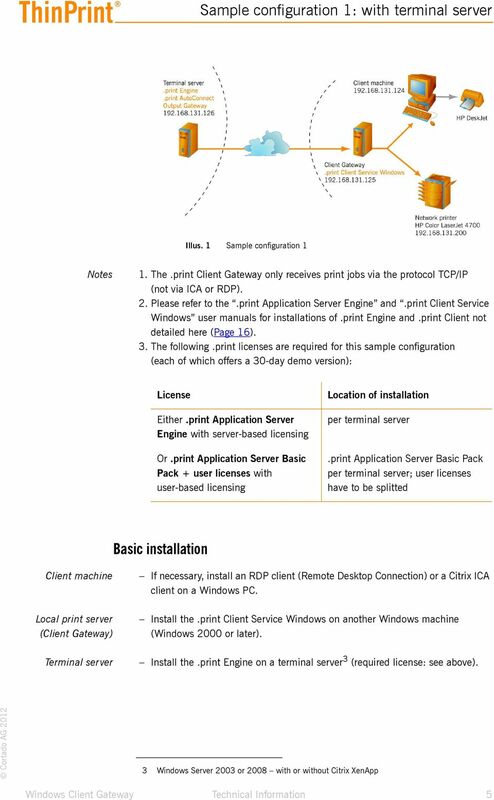 Technical Information"
L force Controls Ä.GdWä LDCDP 11999.GdW Software Manual Industrial PC WindowsR CE Thin Client Operating system l Please read these instructions before you start working! 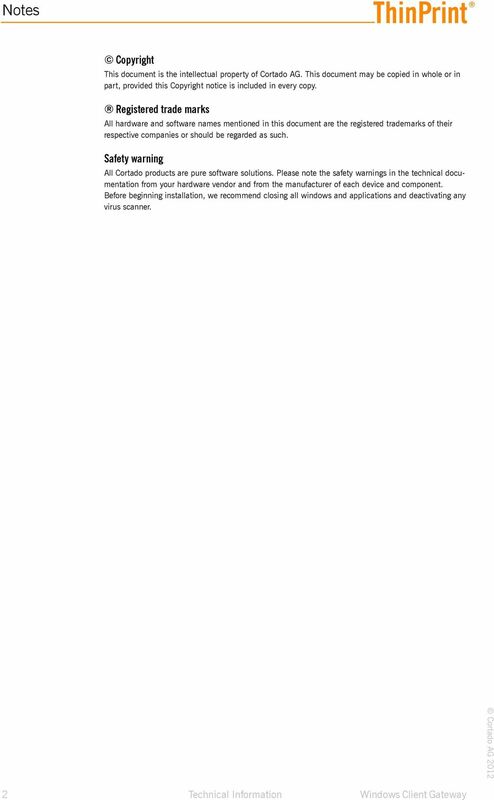 Follow the enclosed safety instructions. 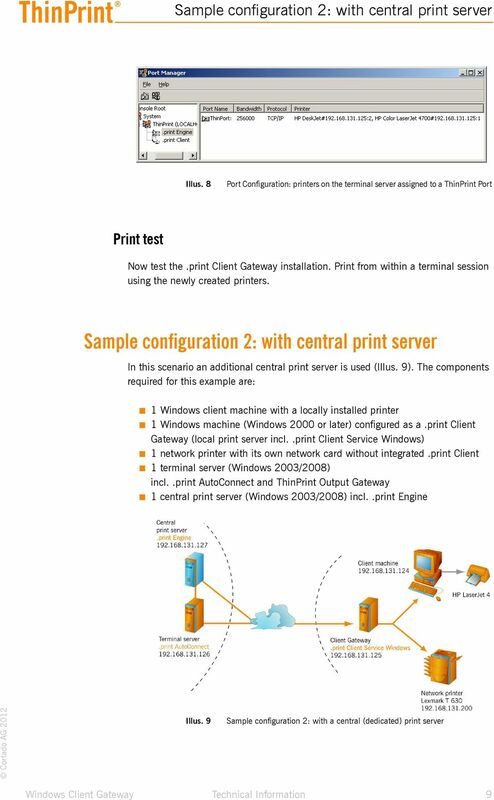 THINSOFT PTE LTD 23 Tai Seng Drive, #06-00, Singapore 535224, Fax (65) 6289-7308 www.thinsoftinc.com WinConnect User Manual Document Version 2.6 Copyright 2003-2009 ThinSoft Pte Ltd. All rights reserved.